Gorgeous boy Jet (previously Kai) came into CP care in a sorry state in August 2017 having been a stray for around six months. His fur was sparse and his skin had bleeding scratches and infected weepy sores but antibiotics, anti inflammatory and steroid treatment along with flea treatment and vet prescribed shampoo soon had Jet looking healthy and feeling better. 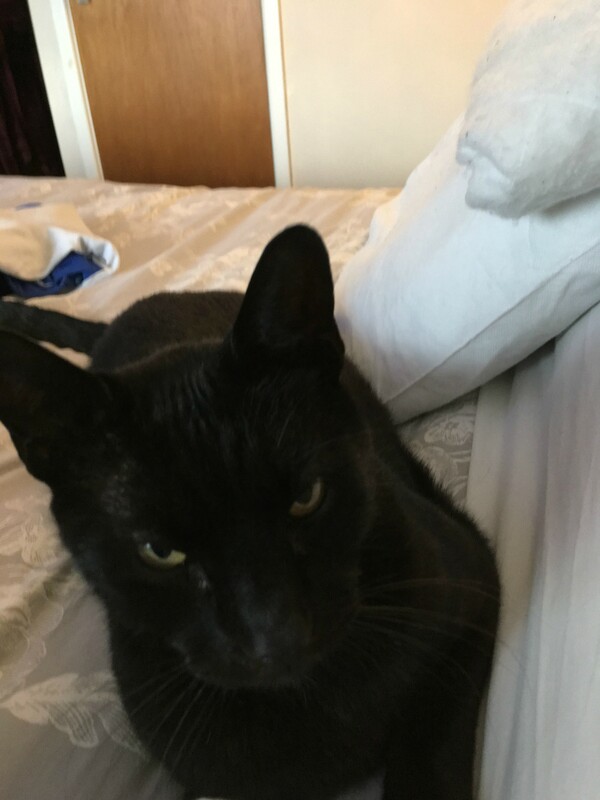 Jet was adopted in October 2017 by Jennifer, Chris and 4 year old Amelia who was keen to read him stories. As the family look to their first Christmas with Jet, it's lovely to get this update from Jennifer in December. "He’s settled in very well. After we brought him home, he hid under the sofa for half an hour, then ventured out, climbed on my lap and was purring! He loves to sleep on grandad’s chair, watching the birds in from the conservatory and sleeping on my chest! We’ve put a cat flap in for him now, but he rarely goes outside. When he does, he has a patrol of the garden, then comes back in. He’s very happy here, and as I write this, he is asleep on my bed. He loves to sleep on Amelia’s bed and joins us for story time in the evening. Amelia loves him and she tells him about her day. He’s becoming more welcoming to strangers and is happy to sit on a lap and have fuss made of him when we have anyone round! Thank you for bringing Jet into our lives, he has won everyone over and he has very much made the house a home!" 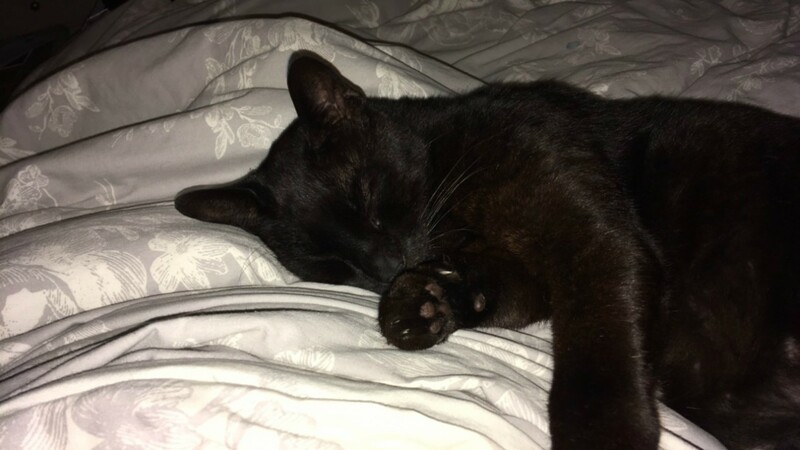 How fabulous it is to see Jet so relaxed and cosy and hear that he enjoys spending time with the whole family.